Hola, El Capitan! 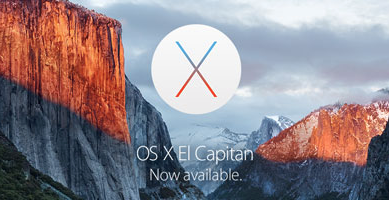 Apple’s newest operating system: OS X 10.11 is now available. It’s 1.4x faster than OS X 10.10 Yosemite, and if you are on an older machine and looking for a bump in speed, critics say you certainly will want to install the update. There is no circumstance, Apple says, where your Mac will feel slower after installing El Capitan. But wait! If you want to be safe and not lose any of your precious files, you should call MACximize first. We’ll give your computer “the once over.” We’ll check to ensure that your hard drive and computer are healthy enough and ready for the migration. So call MACximize to assist with your move to El Capitan — a little MACximize Maintenance could help all that ails your Mac, iPhone, or iPad. Your Mac will say Gracias!